Fish flies / mayflies, originally uploaded by afiler. 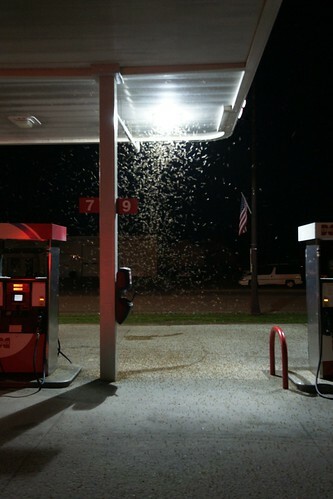 I shot this last June, in Warroad, at a gas station only a couple blocks from Lake of the Woods. Right now I’d gladly put up with mayflies to have that sort of weather back.